The opening night on Monday, September 3, 2018 ..
16.00:Start of work of 50 artists. 17.00 Excavation training for children given by archaeologists . 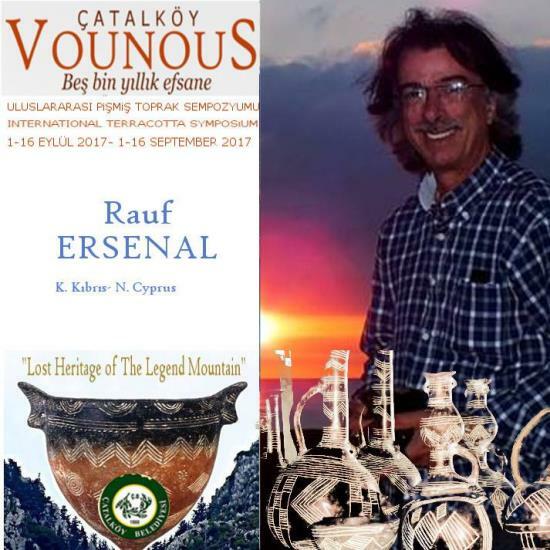 'Lost Heritage of the Legend Mountain' is the title. 5000 years of our history. I am very much looking forward to this event which has taken Rauf Ersenal and his helpers a lot of effort and time to prepare. 50 artists have registered so far. It will be a great event important for the understanding of Cyprus history.